Getting a kitten is an exciting experience, there are not many things which are cuter than a young kitten. However it is important to be aware that there are few things which are more destructive than an inquisitive young cat! Cats cease to be kittens at about one year old, however it may take significantly longer than that for any mischievous behaviour to stop…and with some cats it never does, so it is essential to ensure that your house is fully prepared for your new arrival and remains cat proof long into the future. Kittens love to chew everything, string, plants, clothes, wires and a whole lot of other things too. While some destruction is perhaps an inevitable consequence of getting a kitten here are a few tips to ensure that your kitten is safe in its new home and hopefully doesn’t do too much damage! When you first get your kitten they will be eagerly exploring every inch of their new surroundings. At this early stage it is crucial to ensure that you limit your cat’s freedom. Restrict your cat’s movement to one room. This will make it much easier for you to ensure that you can make the room safe for your kitten, it will ensure that you always know what your kitten is and it will allow you to observe how your kitten interacts with items. This is particularly useful if you notice your kitten has a particularly strong desire to scratch your leather sofa or chew your cushions then you can take steps to avoid this happening in the rest of your house. Electric cables can be nice and chewy and kittens may enjoy having a good bite of any exposed cables if they are a bit hungry. It is important to make sure that if you are not using an electrical item you take steps to unplug it so that there is absolutely no danger of your kitten getting electrocuted! This is for your good as much as your cats, kittens love climbing on things such as your mantlepiece and think its is great fun to knock your vases and ornaments off. There is also a danger that any broken shards may cut your kitten, so move all ornaments and breakable things to a cupboard well out of your kittens way! Cats love to nibble plants, usually this doesn’t do them any harm but there are a lot of plants which can be poisonous to cats, some of these are holly berries, poinsettias and lillies. If you are a houseplant aficionado make sure you do your research before your kitten arrives and get rid of any hazardous plants. Cats love to snuggle up into tight cosy spaces, unfortunately that may sometimes mean that they sneak into places where they really shouldn’t be including, washing machines, tumble dryers and behind your fireplace. Make sure that before you use any of these households items you know exactly where you kitten is before you turn them on! 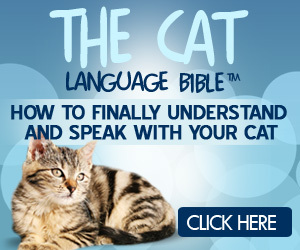 You Can Finally Speak Cat! When Do Cats Stop Growing? What Do Cats Eat And Drink In The Wild?